Previously, women sought to have breast augmentation surgery to increase their breast size so that they could fit in with the cultural trends. Now more than ever, women have more information about the medical devices being placed inside of them. Yes, we said “medical devices,” because that is what the government defines them as. Nowadays, however, even the U.S. Food and Drug Administration is offering tools and advice, when women are giving serious consideration to getting implants. The FDA actually approves of breast augmentation for women recovering from breast cancer for reconstruction, trauma, to correct developmental defects, or to fixed a previous botched implant surgery. But, even the FDA realizes that breast implants are not intended to be lifetime devices and that the longer women have them, the more susceptible they are to having complications. “Women are downsizing or having them taken out altogether,” said Laguna Beach, California, plastic surgeon Dr. Daniel Mills, president of the American Society for Aesthetic Plastic Surgery (ASAPS). Anaplastic large cell lymphoma breast cancer affecting the infection-fighting cells in the immune system. Implants rupture or get a hole in them causing the contents (either saline or silicone) to leak. Scar tissue (capsular contracture) that forms around the outside of the breast implant and becomes hardened and squeezes the implant sometimes to the point of rupture. Follow up surgeries to correct a defective medical device implants. Why Are Women Having Breast Implants Removed? The number one reason women seek to have their implants removed is to have them replaced with smaller ones, according to the ASAPS. Women ages 35 to 50 cite their age, weight gain, and that they no longer need to feel like they “fit in” culturally. Women also have breast implants removed due to the fact that they feel worn out or are too hard from being covered in scar tissue. Most breast implant manufactures recommend having the devices replaced every 10 years. According to the ASAPS’ president, explant surgeries for his patients cost anywhere between $8,000 and $12,000. The average patient has breast implants for approximately one decade. 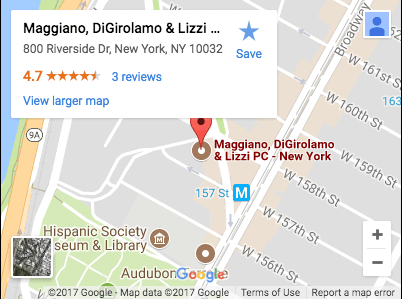 Contact an Experienced New Jersey Product Liability Attorney at Maggiano, Digirolamo, Lizzi P.C. Has your breast implant ruptured or torn to the point that the saline or silicone gel is leaking out? If so, you can turn to an experienced New Jersey Product Liability Attorney with Maggiano, Digirolamo, Lizzi P.C. to advocate for your case. We can provide you with the best legal options to rectify the matter. In some cases, we’ll even build a decisive case to take to trial, if you’ve developed severe medical complications. To speak with our New Jersey product liability attorney, call us at (201) 890-4838 or use the contact form on this page. 1“Why More Women are Having Their Breast Implants Removed or ‘Downsized’” published in Today, Dec. 2016.